Karrie Gregson will serve as your Guide on your ALPENBOXX trip. 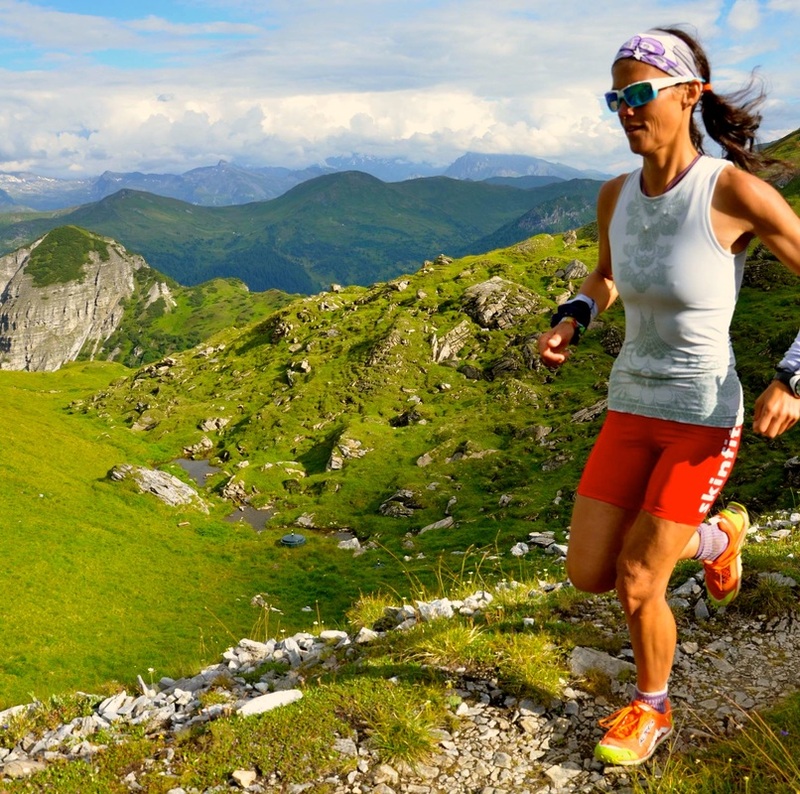 She has over 25 years of experience in the fitness field, including training, racing, nutrition, coaching, teaching a variety of fitness classes, and climbing mountains in the Alps. My passion is to lead people to experience the FREEDOM that the simplicity of the mountains and adventure travel brings. To unleash your own love of life that is inside you all the time—living your True Self—I find bringing people to the Awe of the Mountains here—the earthy, grounded self can’t help but emerge and dance with life. This creates such a wonderful grounded perspective that you carry with you always. Karrie has been a Personal Trainer since 1996 and a Fitness Instructor since 1989. She uses a Holistic Approach to her coaching and is focused on helping people awaken to a whole new level of energy and adventure within. Karrie loves climbing mountains, running (especially mountain running), making unique healthy goodies, a really good double espresso, long fantastic conversations, dancing under a Disco Ball and adventurous travel. Olli has had a passion for mountains and adventure since he was a boy. As a Military Instructor and Mountain Guide, Olli has had over 27 years experience leading and teaching people. Olli has an amazing talent working with people and creating an experience that lands and stays in their heart. His attention to detail and love of people make him a joy to be around. His knowledge of the area and the mountains brings a wonderful element to our Tours.